The adoption of 5G for IoT product creators is still far off. Will it fundamentally transform cellular networks or is it all hype? The hype around 5G and its relation to the internet of things (IoT) has been growing exponentially since its launch in 2012. 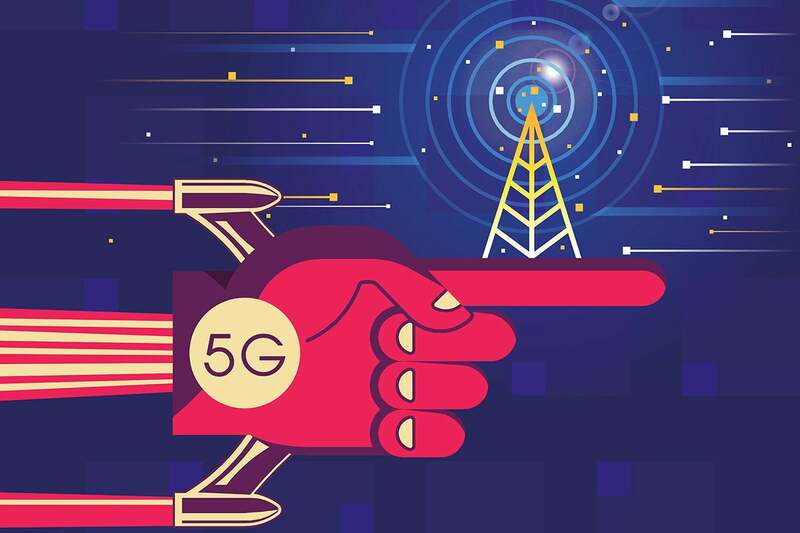 So far, numerous telecoms have promised that 5G will be the next-generation mobile network that provides everything from superfast bandwidth speeds, to ultra-low latency, to ten-times the geographic coverage. However, the attempts to decode what all this means for product creators and enterprises with some investment in 5G and IoT typically lacks real substance and clarity. While 5G networks may fundamentally transform mobile cellular networks, they are still in early deployment stages despite the just-around-the-corner narrative that is being spread. In reality, we won’t see massive 5G deployment for an IoT product anytime soon. Given the rate at which cellular networks are established, it will be some time yet before 5G networks are widespread enough to roll out a global IoT product. And even if we were to examine the current benefits of 5G as true, it’s possible that 5G is just not meant for IoT. Cellular network providers just recently launch Cat-M1, an LTE network / chipset that is designed for IoT applications. According to Verizon, Cat-M1 consumes less power, comes with an improved battery, and supports everything from water monitoring systems, to asset trackers, and consumer electronics. However, Verizon just launched Cat-M1 in 2017, and IoT platforms are just beginning to offer Cat-M1 as a cellular offering. Which may cause you to ask, “why is LTE just becoming a reality for IoT applications?” Well, you should know the LTE you use on your phone is not the same LTE that is used for IoT networks. Verizon rolled out LTE voice (VoLTE) in 2014, but didn't announce LTE for IoT (Cat-M1) until July 2017. VoLTE technology supports voice calls over an LTE network, while Cat-M1 technology allows you to connect M2M machines over an LTE network. And even after Cat-M1 was finally released, cellular and wireless chip providers needed time to implement Cat-M1 into modules that could be used for IoT applications. Once wireless chip providers created and offered cellular modules (like U-Blox’s SARA-R410M) that supported LTE-M networks, IoT platform providers finally had the chips they needed to integrate LTE into their cellular offerings. The LTE + IoT road doesn’t end here either. Narrowband IoT (Cat-NB1) is a proposed Low Power Wide Area (LPWA) technology that is designed to work anywhere and can connect low-power devices to the mobile network. Cat-NB1 is optimized to handle infrequent data transfers, which makes it ideal for devices that are deployed in remote locations and only need to transfer data every so often. North America and Europe are both currently working on deploying Cat-NB1 networks, with some already being released. This just goes to show that LTE solutions for IoT are still being developed and will continued to be improved upon over time. If we think about our current needs for IoT, what we care about are three things: price, coverage, and lower power consumption. But 5G is focused on increasing bandwidth, and while increased data transfer and speeds are nice, they are not entirely necessary for IoT products. The GSMA outlines 5G will possibly offer 1000x bandwidth per unit area. However, as they state in their own report, bandwidth per unit area is not dependent upon 5G, but more devices connecting with higher bandwidths for longer durations. While it is great that 5G aims to improve this service, the rollout of LTE has already had a significant effect on bandwidth consumption. We should be excited about continued incremental improvements on Cat-M1 and NB-IoT as we get even lower cost and lower power solutions for our IoT applications. Unlike LTE, 5G lacks a solid definition, which means cellular providers could eventually label a slightly-faster-than-LTE connection as 5G. And truly, the only thing that is certain about 5G is we won’t know what it can and cannot do until it arrives. Until then, product creators should be turning their attention to LTE if they want to work undisrupted for the next 10+ years. Zach Supalla is the founder and CEO of Particle, an Internet of Things startup that’s making it easier to build, connect and manage internet-connected hardware products deployed at massive scale.